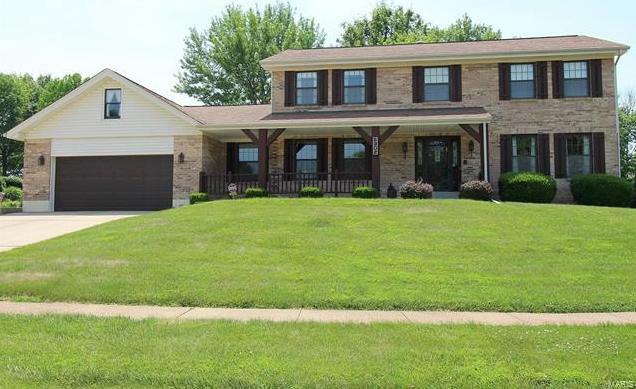 5302 Vallarta Drive (MLS #18047719) is a 2 story single family home located in St Louis, MO. This single family home is 2,752 sqft and on a lot of 12,415 sqft (or 0.29 acres) with 4 bedrooms, 4 baths and is 40 years old. This property was listed on 06/15/2018 and has been priced for sale at $299,900. The 3 bedroom single family home at 5711 Lilac Trails Drive in St Louis is comparable and sold for $325,000 on 12/28/2017. Another comparable 4 bedroom single family home, 10415 Freedom Court in St Louis sold for $315,000 on 10/02/2017. Nearby zip codes are 63010, 63123, 63126, 63129 and 63301. This property neighbors other cities such as Arnold, Mehlville, Oakville, St Charles and Sunset Hills.